Please note that the conference programme is draft and is subject to minor alteration. 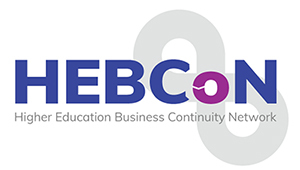 15.45 “Question Time” Panel discussion on engaging stakeholders with business continuity.The panel will comprise of experts from senior management, academia and business continuity. 09.00 HEBCoN Annual General Meeting (AGM) HEBCoN – next steps. Review of 2013/2014 membership year and forthcoming programme of work.